After five highly entertaining days of Table Tennis, the ITTF World Tour bids farewell to Olomouc for another year. One player who will look back on the tournament with great pride will be Japan's Yuto Muramatsu, having secured not one but two titles at the 2016 Czech open. Yuto Muramatsu went into the final day’s action with a trophy already to his name following his Under 21 success, but he wasn’t ready to stop there: Muramatsu capped off a fantastic tournament by seizing his first Men’s Singles title on the World Tour. Both of the semi-finals encounters went to the deciding game; Muramatsu got the better of Korea Republic’s Cho Seungmin, while Muramatsu’s opponent in the final Stephane Ouaiche (France) recovered from 2-3 down to defeat Aleksandar Karakasevic (Serbia) 4-3. Ouaiche had never previously travelled beyond the last 32 of an World Tour in the Men’s Singles category, and so the Czech Open had been a massive step up in performance from him. But the dream of winning the competition proved too great for the Frenchman, as he came up against too strong a rival on day five. The opening of the final was edgy and it was difficult to predict who would take the all important first game, but eventually Muramatsu pulled out a small lead before moving 1-0 ahead in the tie. From that point onward, the match suddenly fell into Muramatsu’s hands (11-9, 11-5, 11-7, 11-4) and Ouaiche couldn’t keep up with the Japanese star. “It is absolutely great that I was able to win the Under 21 and also men’s tournament. For me it is the biggest victory in my life. I feel very tired because it was a very hard and good tournament.”- Yuto Muramatsu (Japan). With title number one now under his belt, Yuto Muramatsu joins an elite class of Japanese Table Tennis players including the likes of Jun Mizutani and Koki Niwa who have won a World Tour event. The future looks bright for the 20-year-old: may we even see Muramatsu at Tokyo 2020? 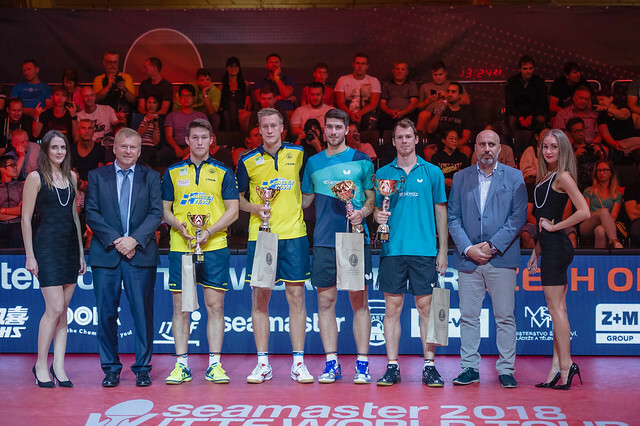 The Czech Open was the third time in 2016 that France was represented in the Men’s Singles final, with Antoine Hachard winning the Chile Open (April) and Quentin Robinot finishing as runner-up at the Bulgaria Open (August). Adding Stephane Ouaiche’s performance in Olomouc to the list will give the French Table Tennis set-up even more to cheer about, in what has been a solid year for the country’s players.